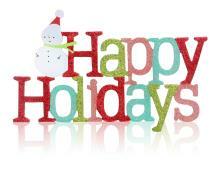 Send warm wishes, good tidings and lots of cheer to your friends and family with holiday photo cards. Personalize with your favorite holiday message and insert your family photo to add your own touch of holiday flair. Available in 7 great colorful styles for you to choose from. Change the greetings on each card for NO EXTRA CHARGE! Send us your family photo and we’ll do the rest. Prices are for printing ONLY. These cards come with blank standard white or cream (off white) envelopes. Mailing is available at an additional cost, please contact office for pricing. Prices include blank envelopes. Envelope imprint available at an additional cost. This 4" x 9" Sized adorable Christmas card is both classy and chic. add UV coating for that extra POP of HI-Gloss. UV Coating is an additional .3¢ per card.